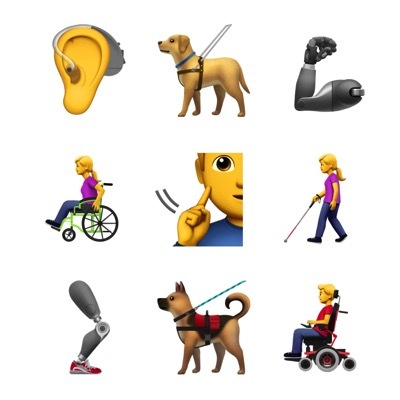 Apple has proposed a suite of new “accessibility emojis” in its latest submission to the Unicode Consortium, which include a guide dog, hearing aid, prosthetic limbs, as well as people using canes and different types of wheelchairs (via Emojipedia). 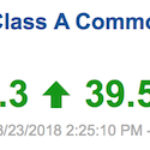 The submitted proposal is based on Apple’s work with American Council of the Blind, the Cerebral Palsy Foundation and the National Association of the Deaf. In its proposal, Apple writes that the submission is “not meant to be a comprehensive list of all possibile depictions of disabiliites”, and that this is intended as “an initial starting point”. There are 13 new emojis proposed in total when options for men and women are taken into account, or a total of 45 when also including the options for skin tones. Details of the characters being proposed for a future update to the Unicode Standard is available at this link.